Arnica montana is a perennial herb that grows across much of Europe. Some of its main elements include essential oils, thymol, fatty acids and flavanone glycosides. 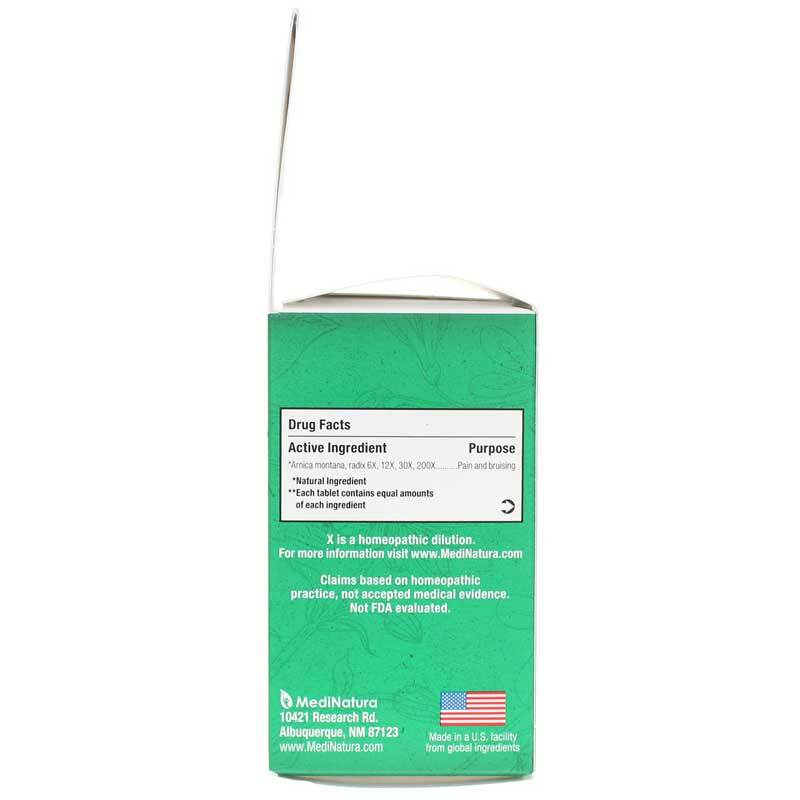 Arnica montana is used in homeopathy for contusions, insect bites, joint pain, sprains, muscle pain and more. This ingredient is found in tinctures, ointments, creams, salves and pills. 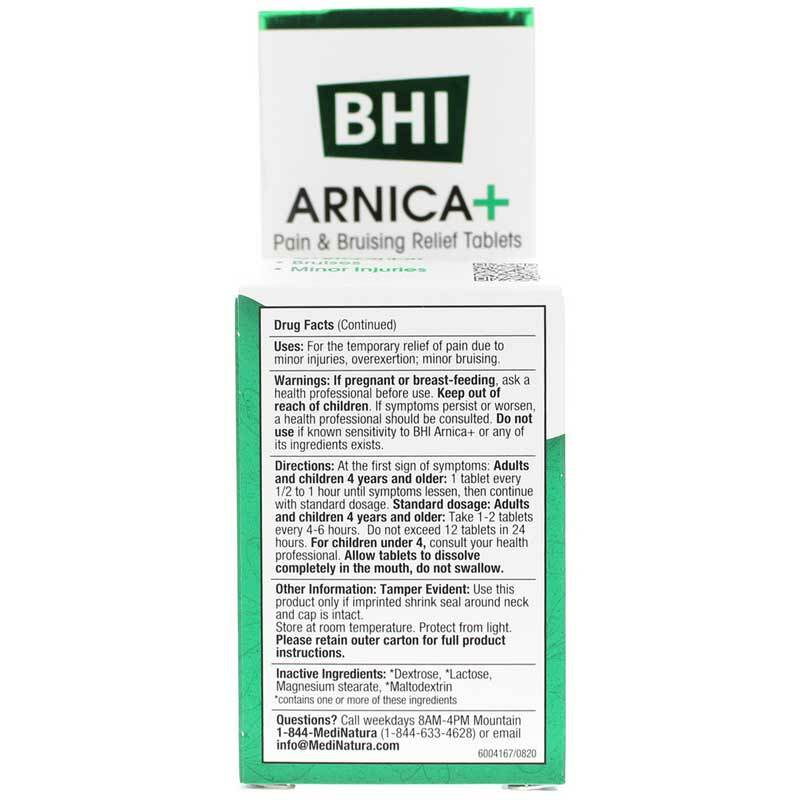 BHI offers a homeopathic product called Arnica+ that seeks to temporarily relieve pain associated with overexertion, bruises and minor injuries. It is important to allow the tablets to dissolve completely in the mouth - do not swallow. Store this bottle away from light and moisture. 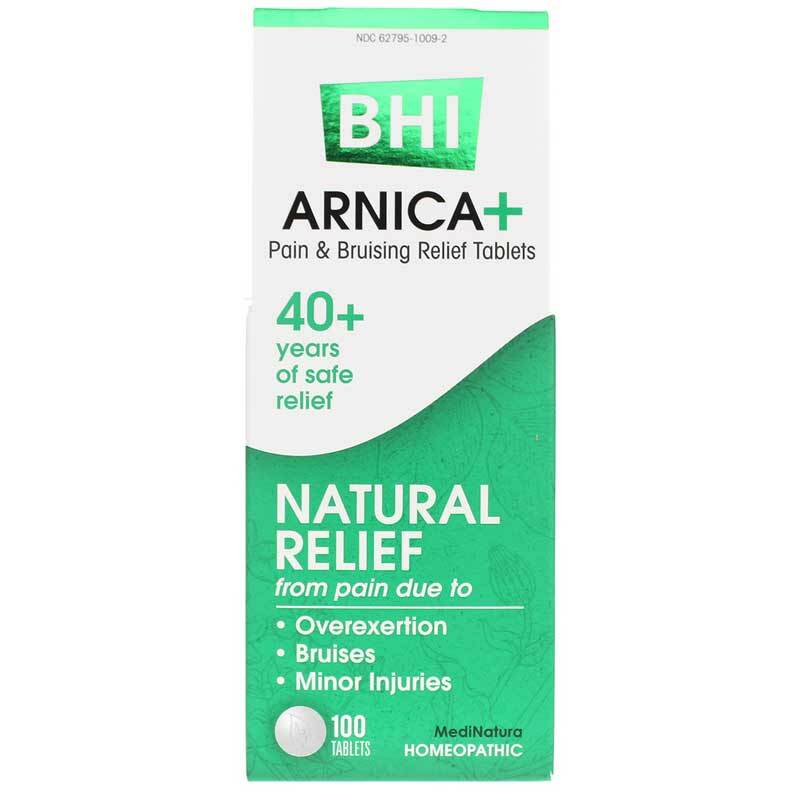 If you're looking for a homeopathic product that seeks to temporarily relieve pain associated with overexertion, bruises and minor injuries, check into BHI's Arnica+. Order online today! If you are pregnant or nursing, please consult your healthcare professional before using this product. Keep out of the reach of children. If symptoms persist or worsen, contact a licensed practitioner.